Spray 2-3 times into centre of room, or into cloud & walk through mist. 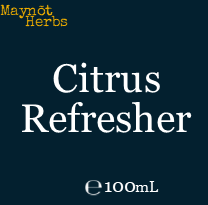 Ingredients: Ethanol, Water, Solubiliser (Almond & Coconut derived), Lemon Balm T, Rosemary T, Sage T, St John’s Wort T, Lu Lu Tong T , Lemon Myrtle EO, Bergamot EO, Lemongrass EO, Bitter Orange EO, Rescue Remedy FE, Sweet Orange EO, Rosalina EO, Fragonia EO. T= Tincture, FE=Flower Essence, EO=Essential Oil.